Quiet and pleasent atmosphere, very clean and well mentained place. 5 min walk to Xanemos beach and great location if you're passioned about airplanes, as the runway is right in front of you. Make sure you rent a car for transportation and keep in mind that the only place nearby where you can grab a bite to eat is at Xanemos beach bar. The service was great, and the owner just lovely! 20 minutes to walk to town. Absolutely beautiful hotel with helpful, friendly and accommodating staff. The hotel is located outside of Skiathos town away from the crowds. Only a short 3-5 minute drive by car/quad/bike to reach Skiathos town. Days earlier we had stayed in a different hotel in the heart of skiathos town but found it incomparable to Villa Spartias. The hotel we had in Skiathos town was in close proximity to everything but we still required a vehicle because the roads are so dangerous to take by foot (no footpaths). 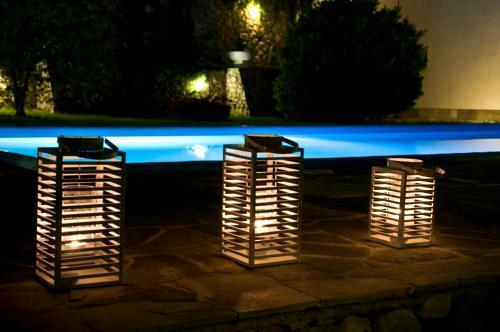 Villa Spartias has ample onsite parking, a beautifully maintained swimming pool and all rooms with balconies. Great value for money even in peak season! Will return only to this hotel next time in Skiathos. Good location from airport,beach on doorstep...easy walk into town and facilities but relaxing place to be. Immaculate!great place to wind down.beautiful island. Out of town (by 3km) , so quite a walk , or 3 minutes in a taxi . The Villa was quiet , peacefull , and totally relaxing . Being out of town , you was away from all the hustle and bustle . The staff were friendly , helpfull , and there to make your stay the best it could be . It was spotlessly clean , well looked after , and above expectations . It felt like you were at home , but on holiday at the same time ! Mina , the owner , was there for anything . And seemed to be there for everything , from cleaning the pool at 7 a.m , to lending you a pen to write out postcards at 8 p.m . All in all , really enjoyed my week there , and would gladly stay there again . Hopefully i will !!!!!!! Hotel molto pulito, la piscina molto bella, la spiaggia a soli due minuti dall'hotel! Lo staff molto gentile e premuroso. La posizione,vicina al centro,ma senza traffico, l'esterno della struttura ben curato,il parcheggio,il terrazzo abbastanza comodo per due. La tranquillità e la cortesia della Padrona ed anche la pulizia. 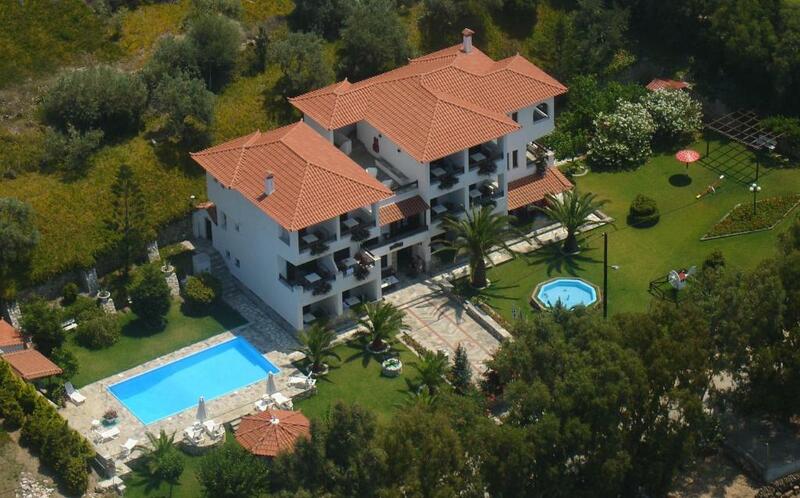 Lock in a great price for Villa Spartias – rated 8.5 by recent guests! In lush surroundings 800 feet from Xanemos Beach in Skiathos, Villa Spartias offers a swimming pool and children’s playground. It features air-conditioned studios with a balcony overlooking the garden. A kitchenette with cooking facilities and fridge is included in all studios at the Spartias. Each comes with a TV. The area of Xanemos is suitable for outdoor activities such as spearfishing, diving and snorkeling. Skiathos Airport is 2,300 feet away and Skiathos Port is at 1.6 mi. Staff can arrange car rental and free private parking is possible on site. When would you like to stay at Villa Spartias? House Rules Villa Spartias takes special requests – add in the next step! On the doorstep minimarket would have been ideal. The staff is very careful.